Arsenal have started this season in an unwanted way as they were defeated 2-0 by Manchester City. The Gunners experienced a change in manager before the start of the season when they hired Unai Emery back in May. The former Paris St-Germain manager didn’t get off to a perfect start as his team were defeated by the Citizens, who are ready to defend the title they won last season. 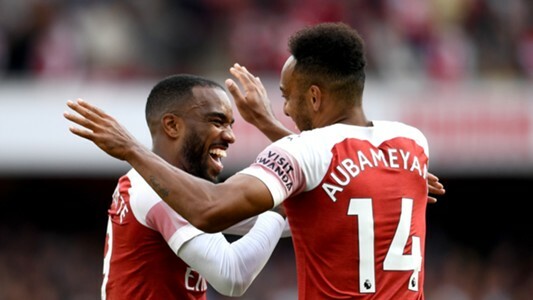 Though the Gunners started the game on bright note – interchanging passes and making the Citizens chase the ball, they conceded the first goal of the encounter when England’s world cup star Raheem scored a long-range shot. Arsenal captain of the day Petr Cech could be blamed for allowing the ball into the net as he was expected by many fans to stop the stop the ball, even if it is a fingertip save. The Citizens could have added to their tally in the second half of the encounter but Sergio Aguero’s shot was well saved by the Czech international, who showed his naivety at the back of the pitch once again. However, Pep Guardiola’s men finally doubled their lead when Portuguese striker Bernardo Silva scored to put the ball past the former Chelsea netminder. With the result and display from his players, Emery might make some changes to his starting lineup in his next game as he would hope to record his first win of the season.